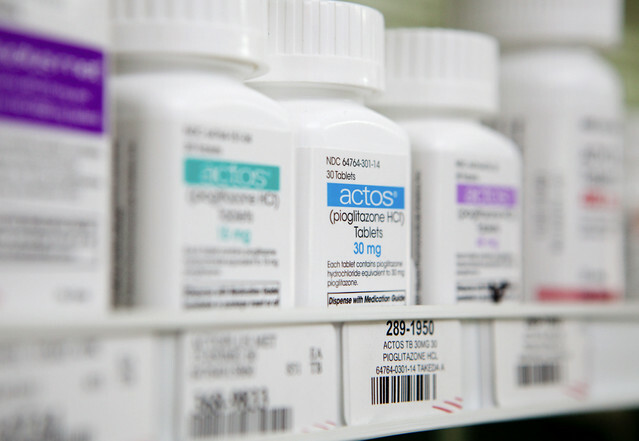 Home » News » Actos » $2.2 Billion Actos Settlement Offer a Bargain for Takeda? When is paying $2.2 billion ever a bargain? According to University of Michigan professor and class action settlement expert Eric Gordon, Japanese drug giant Takeda’s decision to offer one of the largest drug settlements in US history to settle 8,ooo pending lawsuits against it may be just that. Actos users have maintained that Takeda not only cast a blind eye to the drug’s cancer-causing potential while touting its benefits as a diabetes medication but willfully deceived the FDA and the public about its own concerns that the drug was dangerous even before its release in 1999. With this offer, the first potential settlement in the three year Actos litigation, Takeda is hoping it will be enough to resolve federal and state lawsuits alleging that Takeda hid the cancer risks of Actos, its blockbuster diabetes medicine. Experts view this Actos settlement offer as a signal that Takeda, Asia’s largest drug maker, wants to settle on a number that will pre-empt further legal action against it, but at $275,000 per plaintiff, Takeda is seen as hoping to cap the individual settlements at a low price and avoid large verdicts. A case in point is the 2014 Louisiana federal case brought by a shopkeeper who blamed Actos for his bladder cancer and was awarded a staggering $9 billion in damages. Although the award was later reduced to $36.9 million, it sent an ominous message to Takeda to cut its losses early with over 8,000 cases pending and more to come. Critics of the proposed Actos settlement are not happy with the offer. One dissatisfaction that they cite is that Takeda’s settlement offer is only open to Actos users who have already sued or who have retained a lawyer to file an Actos lawsuit. That stipulation could cancel any financial responsibility Takeda has in future cases. Other critics say $2.2 billion simply isn’t enough. According to sales figures compiled by Bloomberg, Actos has been responsible for more than $16 billion in sales revenue since its introduction in 1999, peaking in 2011 at $4.5 billion and 27% of Takeda’s revenues at that time. Christophe Weber, Takeda’s chief executive officer continued to take a dim view of the case against Takeda. “Takeda always had the same position. We believe that Actos provides the right benefit risk ratio for patients and is still a good medicine for patients,” said Weber. In nine Actos trials since 2013, Takeda has successfully argued its case three times. But Takeda’s attorneys have failed to convince five juries that it should not be held liable for hiding the risks of its diabetes drug, including the $9 billion Louisiana award. That single trial, coupled with the prospect of 8,000 cases that could go the wrong way for Takeda, may have been the impetus for the settlement offer. Takeda currently faces 4,500 lawsuits in state courts in Illinois, Pennsylvania, West Virginia, and California while 3,500 federal suits are consolidated in US District Court, Western District of Louisiana in Lafayette before Judge Rebecca Doherty in Actos (Pioglitazone) Products Liability Litigation, 11-md-02299.